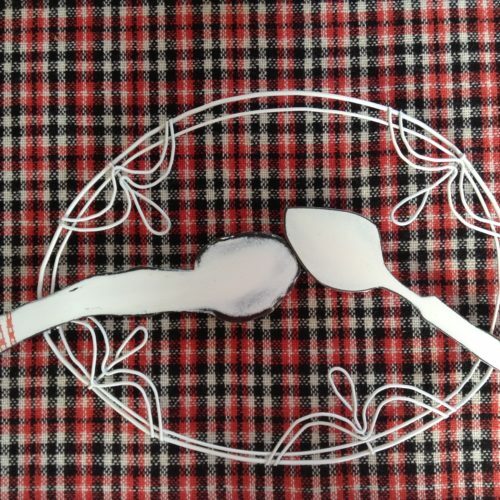 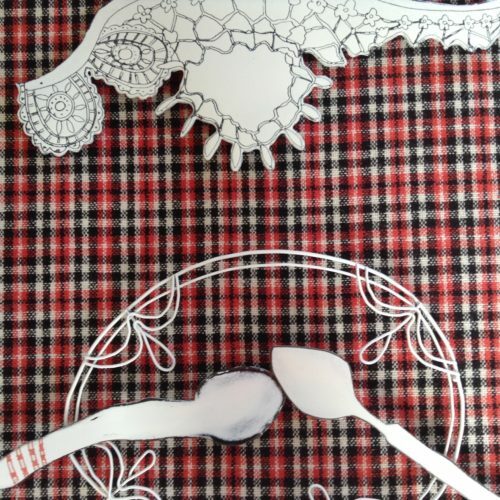 Lace and Plate is an amalgamation of drawing of lace onto enamel, with a wire plate holding two enamel spoons. 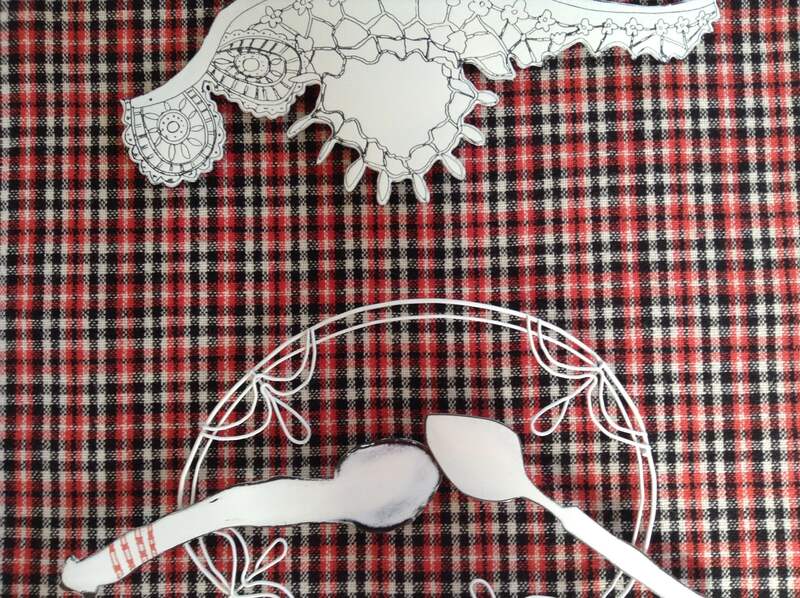 It is inspired by a drawing I made at the Museum of the Romanian Peasant in Bucharest. 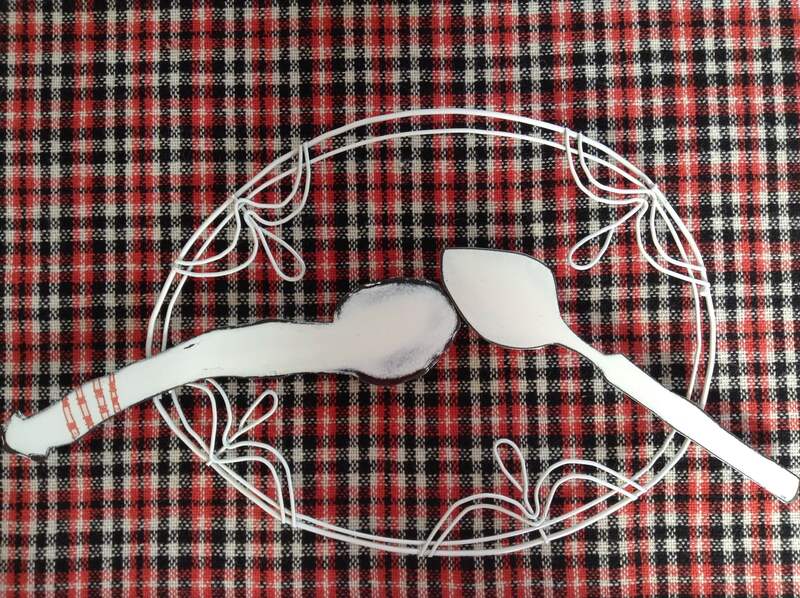 The enamel and wire are mounted onto a Welsh flannel fabric background and set into a bespoke wooden frame painted white.